From the three thousand year-old collection of poems called the Shih Ching (詩經), or Book of Songs, we know the Chinese had icehouses and numerous sources told me the Chinese method of sloshing milk and rice mixture (200 BC) in a metal container set inside another one filled with ice and salt went from China to India, to Persia (400 BC saw faloodeh - فالوده, a frozen/chilled custard still made today of rose water, vermicelli, saffron and pistachios) and the Arab world. Many cultures with access to snow made dishes with ice, honey and fruit (Hippocrates thought ice was good for your health) and it was sold in 5th Century BC Athen’s markets -- although the rest of the story is difficult to pin down since many of the most quoted ‘facts’ about ice cream are fabrications! This was absolutely the hardest thing I’ve ever had to research since there were so many wrong turns (thanks to Bookrags, Wikipedia and Enotes among others). 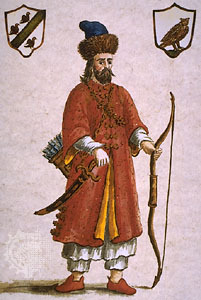 For instance, Marco Polo was not the first to bring a recipe for ‘ice cream” to Italy in the 13th century (it may have been a frozen iced dessert), Arab sharbat makers had already brought a kind of sherbet to Sicily before the end of the first millennium. 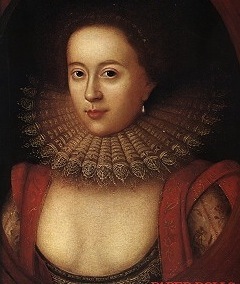 According to the late Elizabeth David (well-known British food writer) one of the great ice cream myths that said Catharine de Medici brought ice cream to France was apocryphal … she was 14 at the time, not rich, did not bring a cadre of Italian chefs to upset the French Court’s apple cart and delighted in sorbets, which in 16th century France were chilled sweet syrups and fruit juices -- not frozen desserts. Ices did become the rage in the Renaissance and at the beginning they were flavored with fruit or flowers… rose, jasmine and violet were particular favorites but they were probably more like flavored/scented ice than ice cream. 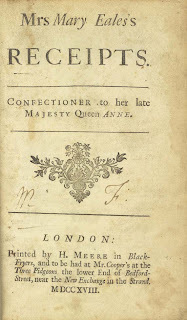 According toThe Oxford Companion to Food , the first mention of the word “ice cream” in English was recorded by antiquarian Elias Ashmole (as in Ashmolean Museum at Oxford) in 1672. In recalling the Festival of St. George at Windsor in 1671, he remembered “one plate of ice cream” as one of the dishes there. 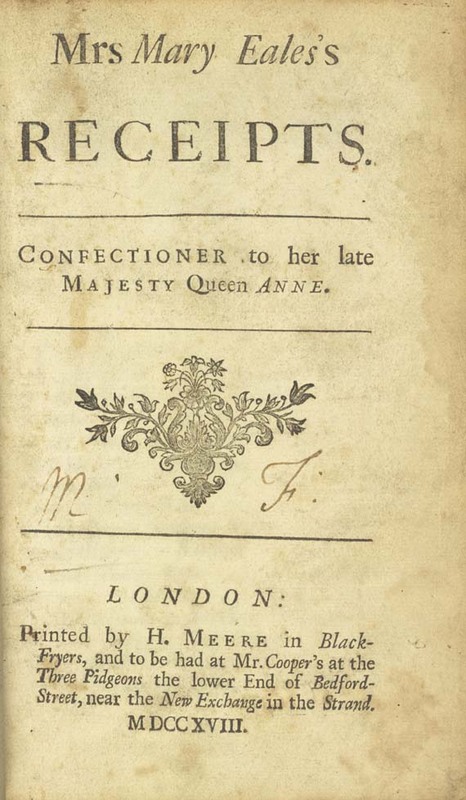 The first book about ice cream was written in 1700 in French and called L’Art de Faire des Glacés followed by Mrs Eales Receipts in 1718 and Hannah Glasses’s The Art of Cookery made Plain and Easy in 1747. 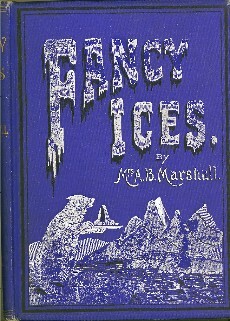 Early ices were very experimental and could be made with rye bread, parmesan cheese, artichokes and other rather unusual ingredients. It wasn’t until years later that we settled in to the varieties that we are familiar with. The French differentiated between sorbets (glacés rares) and ice cream (fromages glacés) according to Selma Schwartz who, with Ivan Day replicated an 18th century dessert table with the unparalleled porcelain service of Lord Rothchild's Waddesdon Manor. Our own Thomas Jefferson was mad for ice cream and brought back the technique to revolutionary America. It was served at the inaugural ball by Dolly Madison and was on the streets in NYC by the 1820s and loved by the masses. By the late 19th century, a patent was established for the wooden ice cream maker, and with it, everyone could make the delicious treat. 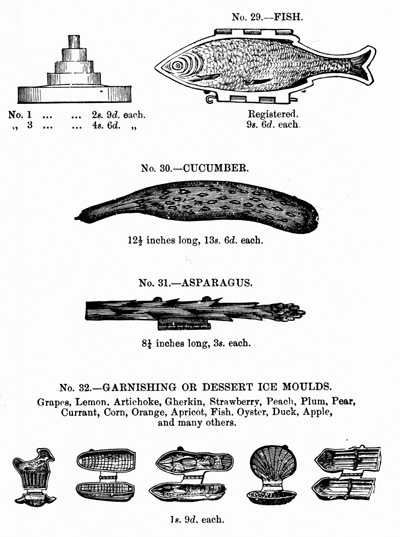 By 1885 there was even an entire cookbook based on iced treats called Ices Plain and Fancy, and all the great restaurants had spectacular ice cream dishes in fantastic molds to delight their well-heeled patrons. 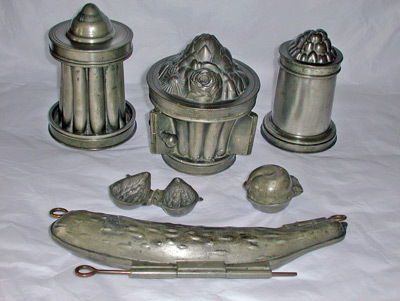 My early 20th century pewter ice cream molds are the poor stepchildren of the molds that graced the tables of the upper classes in the 19th century. Often a giant ice cream piéce montée would have center stage and a constellation of smaller flowers and fruit would be strewn around it (although how you keep the petals from melting… I know not) on an extravagantly laid table. 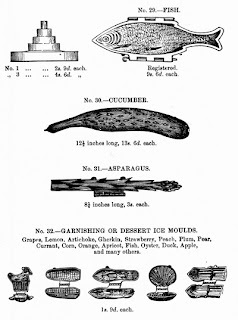 For some bizarre reason, cucumbers and asparagus were popular ice cream forms. 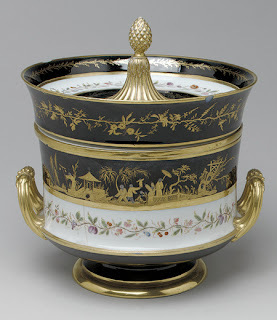 I can’t stop at molds, I must tell you about the porcelain ice cream cooler (seau á glace) -- an inspired way to keep ice cream cold at table. 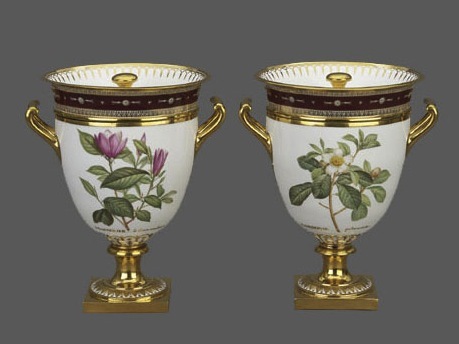 All of the specimens that I have seen from the turn of the 19th century are amazing objets. 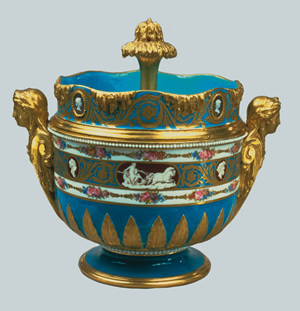 I can just imagine lifting the lid and finding a bouquet of ice cream flowers… how spectacular would that be with such a vessel? There would be ice inside on the bottom, a fitted dish above that to hold your ice cream and ice filling the bowl-ish lid. As for the molds*, they are easy to use and you can pop out the ice cream, wrap it in plastic and make more whether you use old pewter molds or silicone. My biggest warning would be… the warmer the weather, the simpler the design! You can then arrange them on a platter or give them out one at a time to your guests. What follows is an orange ice cream recipe that I had made years ago and then found again in the NYT’s archives a while back. I’ve made a few changes over the years with more egg yolks, orange flower water and fresh orange suprémes and juice. The recipe could be altered to use other fruit juices if desired. Taste of Beirut’s pomegranate and rose drink got me thinking it would be a spectacular ice cream… now, where to get a rose and a pomegranate mold!!! Remove the peel from one orange. Cut the peel into quarter-inch lengths and then into quarter-inch squares. Place the peel in a saucepan with water to cover and boil for 10 minutes. Rinse under cold running water, drain and repeat. When thoroughly drained, mix the peel with one-third cup of sugar in a small bowl and some of the water from boiling them and reserve. Juice the oranges then add the lemon juice and 2 T of the orange flower water and chill. In a heavy saucepan, scald the milk, cream and remaining sugar over medium-low heat. Stir with a wooden spoon until the sugar is dissolved. In a large bowl, whisk the egg yolks until they coat the whisk. Slowly whisk the scalded milk mixture into the beaten yolks, strain, and allow it to cool -- stirring from time to time. When the mixture is cool, add the vanilla and chill thoroughly. Stir the juice into the base mixture and churn in the ice-cream maker for about five minutes. Drain the sweetened orange peel with a slotted spoon, fold into the mixture and freeze according to the manufacturer's directions or reserve and serve with the ice cream. The molds will work easier without the bits of peel in the ice cream, just toss them on top when serving. Pack into an airtight container and freeze. If you are using molds, fill them when the ice cream is still fairly loose and keep it in the mold until frozen solid. I may recommend that you portion out the ice cream in appropriate amounts for the molds so you don’t have to keep thawing as you make more of them if your freezer is cold. The ice cream mist be thick enough to be shaped but is best very cold and hard when un-molded. Marinate the suprémes of orange with the remaining 2 T of orange flower water and juice from the 3rd orange and serve with the ice cream. *Pewter molds are available on Ebay and go from $10 to hundreds depending on rarity so they often cost less than new silicone molds and are a lot more interesting! What's Cooking in America said that during WWII, there was an entire barge commissioned at a princely cost of $1 million to act as a floating ice cream parlor that could pump out 10 gallons every seven seconds for servicemen in the Western Pacific… it was one of the top morale builders. But WWII airmen had that beat when the stuffed an ice cream base in the tail gunner’s cockpit of a B-29 and let the icy air and vibrations do the rest. I'm so glad that I stopped by this morning. Of course, I know I'll always find a wonderful post. Thank you for never disappointing. Be still my heart..what gorgeous molds! Your confections turned out perfect! These are adorable. I have never seen, even pictures, of ice cream frozen this way. Hey Deana, it is funny how hard it is sometimes to research certain subjects-there is so much incorrect information floating about the web. Your molded orange ice cream with orange flower water sounds wonderful though. Especially to me since I'm pretty much addicted to perfumed waters;-)! I know when I visit that I'll be in for a visual and mental treat. You never disappointment, Deana! These molded ice cream treats are spectacular! Holy moley! What a wonderful read this was for me! Who knew that something as simple as ice would cause such commotion back then. Another example of something we're so used to that we don't really think about how it came about. I love your use of orange flower water, and the molds, WOW! I've never seen such beautiful molded ice cream before. Thank you for sharing this with me Deana! Have a wonderful weekend! I love the use of orange flower water, it's one of my favorite ingredients to work with. Just a few drops add so much. Fantastic informative and well written. Your ice cream molds are really pretty, and your orange ice cream sounds wonderful! I've never even seen orange flower water! I read your posts like I read a good book -- I can't take my eyes off until I've pored over every captivating word! The ice cream sounds fantastic (I can imagine it smells like Paradise!) and the molds are really lovely. 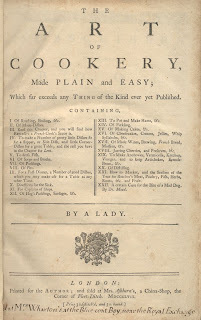 Beautiful history behind ice creams and lovely recipe. Its amazing what history can teach us. Thank you for the informative post. I loved reading the history of ice cream, fascinating! And the ice cream flowers are stunningly gorgeous! fascinating post,congratulation,a real pleasure to read this!and to look at fabulous orange flowers! Those pewter molds and coolers are fantastic! What an elegant way to serve ice cream! I've been perfecting the art of vanilla ice cream the last few weeks. How interesting that ice creams did have 'unusual' ingredients way back then, and now savory ice creams are back - I had garlic ice cream in San Francisco that was actually quite good! This is such an interesting post! Those pewter molds are beautiful, and I would love to have a collection - thanks for sharing the tip on buying them off of eBay. It's interesting that we no longer have ice cream molded. I suppose popsicles took over. This is a nice novel way to serve ice cream. I adore your molds and really loved the photos of the porcelain ice cream coolers. Magnificent! There is a marvelous company in Michigan that makes fabulous molded ice creams. My favorite was always their apple....which they make with coffee ice cream and fill with a liqueur. Their fruits are always perfectly colored to finish. Looks like a real apple. Great fun to serve. But I love the elegant simplicity of your molds and the recipe sounds delicious. Wow those molds are so cool...I have never seen one before. Love this post...but then i love all of your posts Deana! Glad ice cream found its way into your repertoire. Lovely presentation -- and it sounds delicious! Brilliant!!! I have never seen anything like this. Not sure what I love more about your blog, the history or the recipes. Thanks for the history lesson, and how can you resist this ice cream? beautiful post! If I can add my little titbit to your superb post, I read several times that ice cream was made in Lebanon thousands of years ago by the Phoenicians; that even Saladdin offered some (later, during the Crusades) to his then rival Crusader and conqueror who was ill. See it is in Lebanon that there were summits covered with snow all year, hence the practice of ice-sherbet. Anyway, love these pewter molds; now you are giving me something lese to look for besides cookie molds! Love your orange-flavored ice-cream and the presentation: so refined! Merci pour toutes ces informations sur les glaces. La tienne est très jolie dans ces formes-là. These molds are very nice, frozen flowers seems to me wonderful! Orange flower water is a aroma exquisite, I like it very much! History lessons, vintage cooking tools, and amazing looking flower ice-cream wow, I am in awe and speech less to write anything coherent. Thank you. Simply bow! Given my love of ice cream it was so much fun reading how it has evolved throughout history! 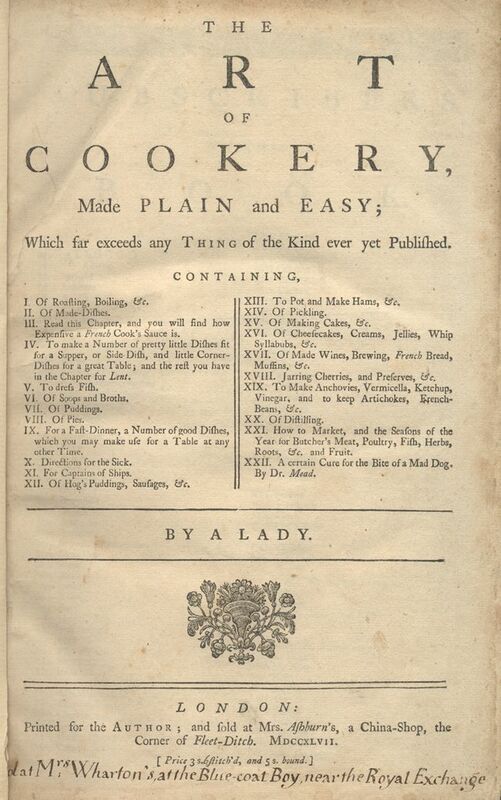 And then to come to this fantastic recipe at the end, what a prize! Thank you for such a thorough job of research--a fascinating story. And your photographs are beautiful. Whenever I read your posts, I am transported. You cut to the heart of food and make one fall in love with it. Ice cream has got to be one of the best inventions ever! 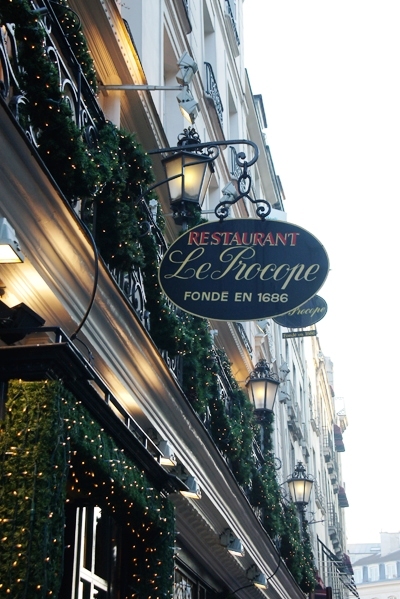 Thanks for telling us about that place in Paris, I'm going to make a note of that and maybe visit on my next trip. If I'm not mistaken, I believe in the "olden days" they used to mold their butter in presses too. Everything had to impress. We used to make "ice cream" from freshly fallen snow in the winter when we were children. Ahhh, innocence. I love the idea of molded ice cream and the orange flavor sounds like a Dreamsicle (I wish I'd thought of that name!) There is an ice cream shop in Paris that scoops ice cream into the cone so it resembles a flower. It makes it so much more fun to eat! Thanks for all of the history. I just came across your blog and can I say wow! I love this aspect of food that we rarely get the chance to explore-- I am a total history nerd so thanks! Will certainly be following you! I found your blog by following a link from Sweet Sixteen: May Flowers Collection where your orange ice cream flowers are featured. Congratulations! I have really enjoyed your post, and the rest of your site, too. Thanks for sharing! Yes, thank you so much for this wonderful idea...and the Sugar Rush! Cambridge Burnt Cream: A Guest Post From Lazaro!